If you live in Southern California, you’ve likely noticed the flood of electric scooters (or e-scooters) on the sidewalks and streets in recent months. 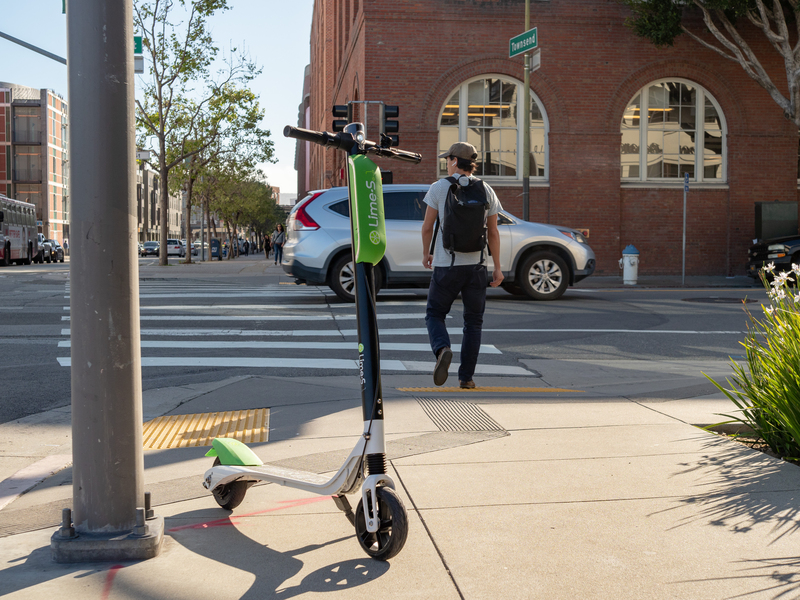 Dockless scooters, operated by popular rideshare companies such as Uber, Bird, and Lyft, have been involved in many accidents involving pedestrians and other vehicles. You may have even questioned the legality of these personal vehicles. Despite differences in state or city electric scooter laws, they are certainly legal in the United States and in California. Always wear a helmet: A helmet can save your life if you fall and hit your head, protecting you against skull fractures and traumatic brain injuries. Possess a valid driver’s license/learner’s permit: Riders must be familiar with the rules of the road, and have passed a state DMV driver’s education and road test. Not ride above 15 mph: Speed is a factor in many accidents, especially since scooter riders often share the sidewalks with pedestrians and other motor vehicles. Stay off the sidewalks: Scooters travel much faster than people on foot, potentially startling pedestrians and making it hard to avoid a collision. Avoid streets with speed limits above 25 mph: Scooter riders must be careful of motorists and stay on designated bike lanes to be as safe as possible. Take care if riding on the street: If the street is the only available riding surface, riders must stay on the right side, as close to the curb as possible, to stay clear of traffic. If you must ride on the street, you can do so if there are no other designated paths. Stay off the sidewalks as much as possible, and parks and beach promenades as well. Many cities throughout Los Angeles and Orange County have bike lanes, including Santa Monica. Although small and enticing, electric scooters are not kids’ toys. You must have a driver’s license or permit. If stopped by law enforcement, and you are ticketed, not having valid documentation will count against you. But being licensed doesn’t exempt you from the law. Aside from the safety guidelines already mentioned, do not share a scooter with someone else. Tandem riding is forbidden and dangerous. E-scooters aren’t built for it and trying to ride together increases the risk of accidents and injuries. Electric scooters are convenient, and fun, but also dangerous if not used properly. If you get injured, and the accident is your fault, even a Los Angeles personal injury attorney cannot convince a defendant’s legal representative or their insurance company to compensate you. Riding safe requires common sense and being aware of local electric scooter laws on riding stand-up e-scooters. Be sure to check on where they are prohibited and where it’s legal to ride. Have you been hurt in an e-scooter accident that wasn’t your fault? Serving all of California, including Los Angeles and Orange County, The Law Offices of Jacob Emrani can help get the compensation you deserve. To speak to our Los Angeles personal injury attorney and schedule a free consultation, call 888-952-2952 or contact us online.